Founded in 1908, Muir Woods National Park is a popular attraction about 30 minutes north of San Francisco. It's one of the only places in the world where you can still see indigenous Coastal Redwood trees. 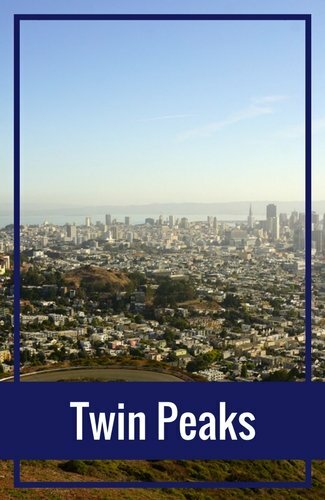 The park is open 365 days a year, so it's the perfect item to add to your San Francisco itinerary. It opens at 8 am each day, but closing times differ depending on the season. 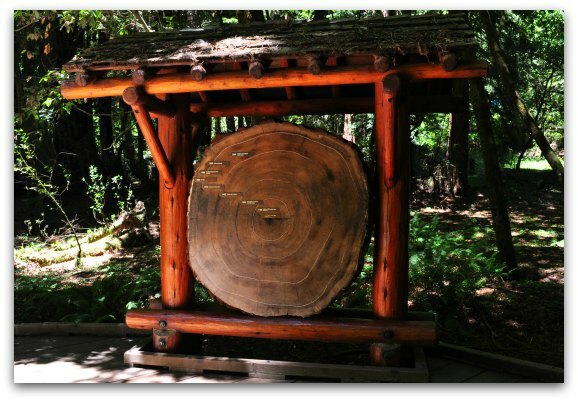 How long should you spend in Muir Woods? If you plan to explore the main area, I recommend setting aside a couple of hours for your visit. If you plan to hike one of the longer trails, you could spend up to 3 to 5 hours hiking around. In my opinion, the best time to visit is early in the morning as the fog is still hanging around the park. It gives it a mystical and peaceful feel to it. If you plan to stay for a couple of hours, the fog will sometimes burn off and you can see it's beauty in the sun too! Discover more about some of the best tours to take if you don't want to drive, and new rules for Muir Woods parking if you do plan to drive. This species of redwoods is a close relative to the Giant Sequoias (which you can find a few hours away from SF). The Coastal Redwoods thrive in this area due to its cool, foggy climate all year long. The average age of the trees here is between 600 to 800 years old - with the oldest one around 1,200 years old. Even though this seems quite old, this forest is actually relatively young, as redwood trees can live for up to 2,200 years. One of the best things about visiting this park is that the redwoods are easy to access. You encounter the trees the minute you enter the park. Muir Woods National Park easy to explore for almost everyone since the main wooden walking paths are flat, wide and well maintained. Along the main wooden trails, you will also get the chance to learn more about these rare trees. Every few feet, you will find educational signs and displays. 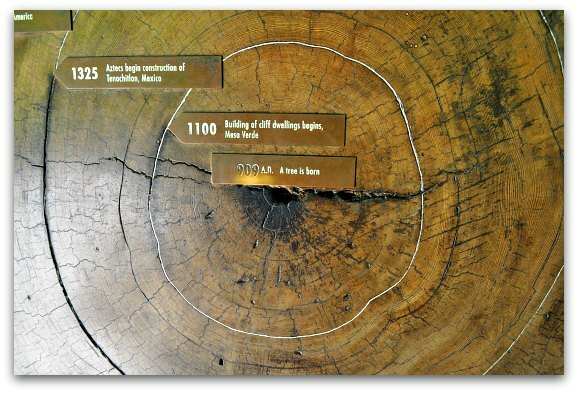 One of my favorites is this display that shows the growth pattern for a 1,000+ year old redwood. The inner circle shows that it started growing around 909 A.D. 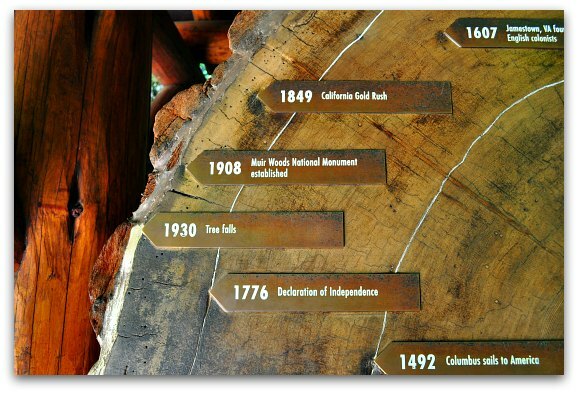 The outer circle shows important dates in US history, so you get a sense for the types of events that happened during this tree's life. The final marking shows the date when the tree fell. How tall are these trees? 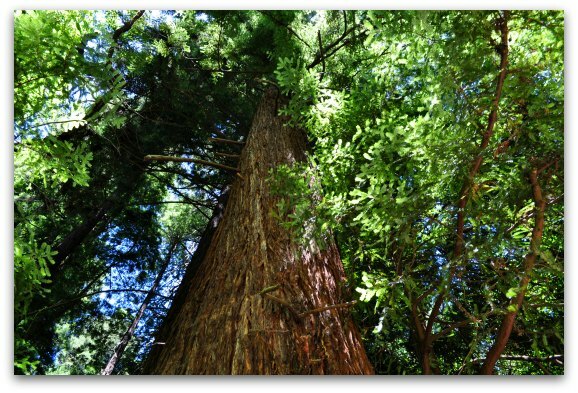 According to the National Park Service, the tallest redwood currently in Muir Woods National Park is around 258 feet tall. These pictures give you a sense of their height. You will find two miles of flat trails in the canyon area of the park. This includes four bridges that allow you to easily loop around the park and see a number of these gorgeous trees. Most people follow one of the three main looping trails mentioned below. The estimated times listed include time to stop along the way to read the signs and take pictures. I also included the total distance, so you get a sense of what is included with each loop. Bridge 2 Loop: On this walk, you will go all the way to Bridge 2. After you cross the bridge, head to your left. This takes you back to Bridge 1 and puts you on the main trail where you started. This walk is about a half mile and takes 30 minutes. Bridge 3 Loop: Take the main trail all the way to Bridge 3. Cross the bridge and head to your left. You will again walk all the way to the end, cross Bridge 1 and return to the main trail. This loop is about 1 mile and takes about an hour. Bridge 4 Loop: Walk the main trail all the way to end which is where you will find Bridge 4. Walk across the bridge and take a left to head back to the entrance. Walk along this second path all the way to Bridge 1. After you cross this bridge, you will be back on the main trail near the park entrance. This loop is about 2 miles and takes about one and a half hours. In addition to the flat, wooden walking paths, there are also several great hiking paths within the park. The 560-acre park has a total of 6 miles worth of trails. The four additional miles are unpaved routes that take you up the hills. Once you reach the edges of the park, many of these trails link up with longer trails on Mount Tamalpais. If you want to learn more about these routes, you can pick up a hiking map at the entrance to Muir Woods National Park. On the eastern side of the main trail, near Bridge 1, you will find the restrooms, a gift shop and a small cafe. It's the perfect place to relax or fuel up either before or after your hikes. There is another set of restrooms and a small gift shop at the park entrance. Admission to the park is $15 for adults 16 years and older. 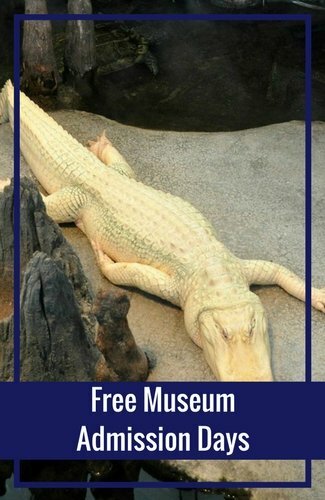 Everyone 15 and under gets in free. The park is open every day of the year at 8am including holidays. It closes based on the season and when the sun goes down. This is the upcoming schedule. 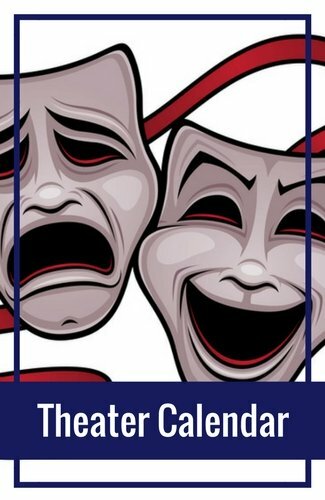 11/4, 2018 - 3/9, 2019: 8:00 a.m. - 5:00 p.m.
3/9 - 4/6, 2019: 8:00 a.m. - 6:00 p.m.
4/7 - 5/18, 2019: 8:00 a.m. - 7:00 p.m.
5/19 - 9/7, 2019: 8:00 a.m. - 9:00 p.m.
9/8 - 10/5, 2019: 8:00 a.m. - 7:00 p.m.
10/6 - 11/2, 2019: 8:00 a.m. - 6:00 p.m.
11/3 - 12/31, 2019: 8:00 a.m. - 5:00 p.m. 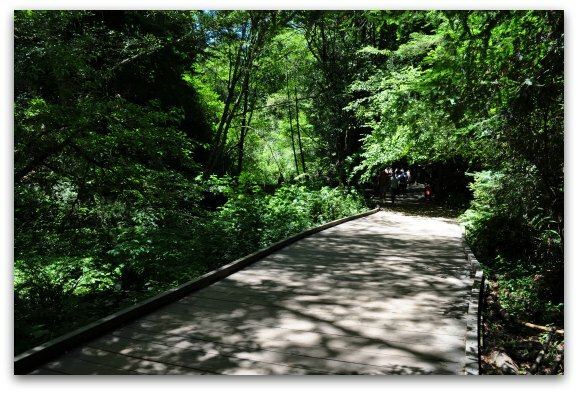 Many people opt to take a tour to Muir Woods National Park. This option saves you the hassle of renting a car for the day and dealing with bay area traffic. It also means you don't have to fight for parking, which is really difficult here on the weekends and during the busy summer months. Since Muir Woods isn't that far from SF, most people stop in Sausalito either before or after their visit. This tour combines a trip to both. It also includes a 60-minute narrated cruise around the bay. 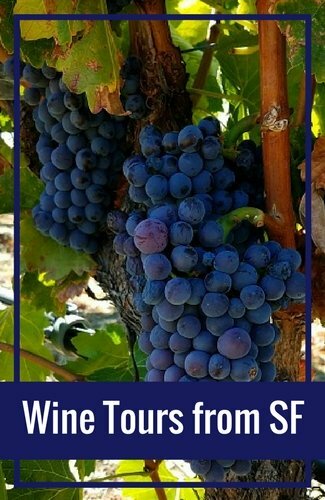 If you want to visit both Muir Woods and California's Wine Country, then this is the tour that I'd recommend for you. 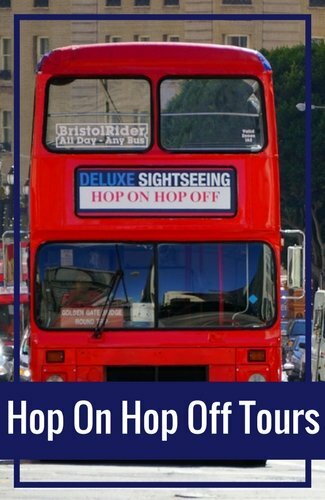 This full day tour lasts around 9 hours and is full of activities. 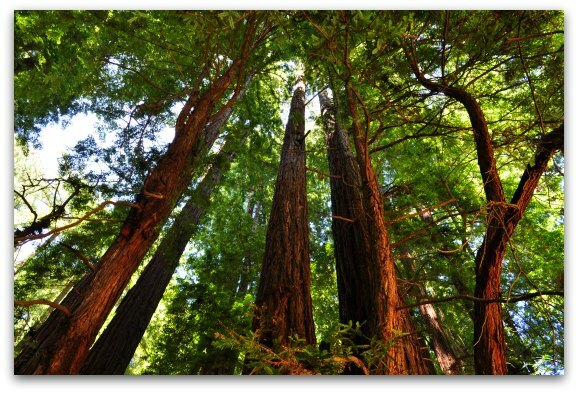 Here are a few other top Muir Woods tours. 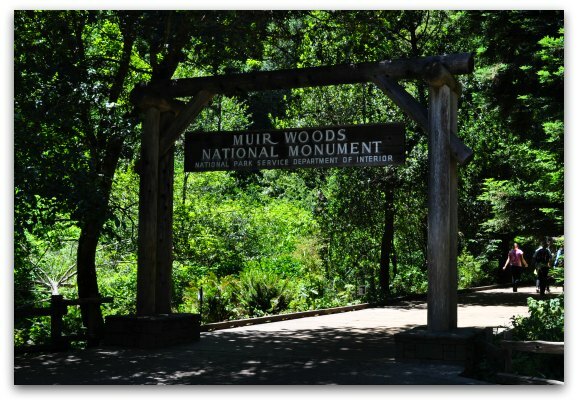 The next best option (aside from the tours) to get to Muir Woods National Park is to drive. 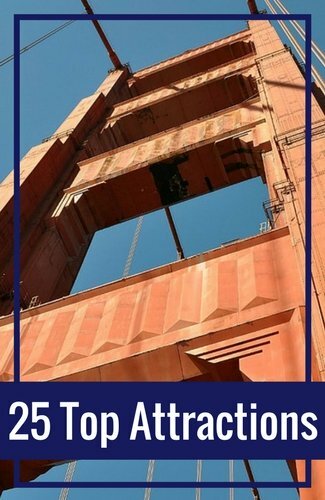 It's an easy drive across the Golden Gate Bridge through Marin County. From most places in San Francisco, it's about a 45 minute drive. The drive is gorgeous. After you leave 101, you will drive along a winding road that weaves back and forth through part of the Golden Gate National Recreation Area. You will see some great views of the forest and in some spots you can see the Pacific Ocean. Starting on January 16, 2018, all personal cars will need to have a parking reservation. This will help relieve parking issues here and make it safer for everyone. The cost to park is $8 per car. All visitors will also pay for admission into the park. You will also be required to make a reservation when using the shuttle. There are three shuttle stop locations. 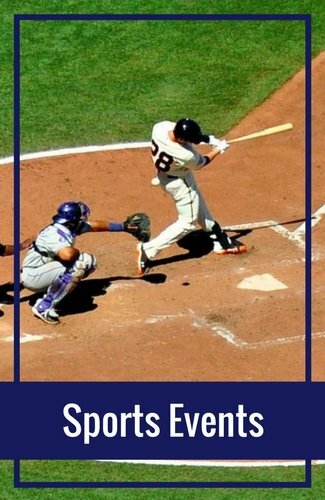 All three are in Marin at the following locations. The shuttle runs on all weekends and holidays. It also runs daily during peak season between mid-June and mid-August. You are required to make a reservation for this shuttle. The cost of the shuttle is $3 per person for a round trip ticket. The registration system is now open. Visit their site for more information and to book your parking spot or shuttle ride. I recommend wearing layers during your visit here. It's often cool, foggy and moist in the mornings and warmer in the afternoons. However, even if it is sunny before you arrive at the park, don't let the weather forecast fool you. The tall tress block the sun, so even on a warm day, it might still be cool in the park. You will also want to prepare for rain between late October and late March. I also recommend wearing comfortable, flat shoes or tennis shoes. Even though the walkways are wooden, the parking lots are dirt. You will also be happy with comfortable shoes if you end up having to walk down the gravel roads to get to the park entrance.